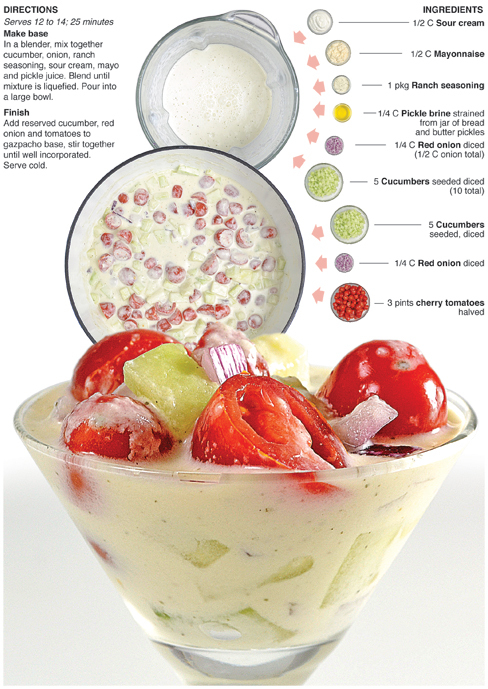 This gazpacho was the final step in the evolution of a simple and creamy cucumber salad. 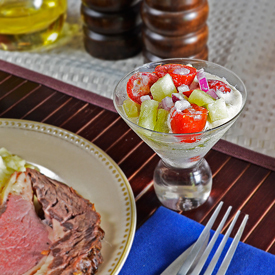 Originally it was just that - a cucumber salad. Next, I used it as the creamy cool vegetable element of a tostada. Then I got crazy, took it a step further and made a palette cleansing soup that turned out delicious. It’s also a great way to get rid of extra cucumber if the garden is still teaming with them or they are on sale at the local grocery. It features great flavors that work well together. It’s really fresh but has some tang with the pickle brine and ranch seasoning. I’m proud of this one and can’t wait to make it again for a catered dinner or late summer pot luck. This was probably the last cucumber recipe I'll make for the blog this summer, I'm starting to get burned out on them. There are still tomatoes and peppers out there that need to be cooked so there is plenty of other garden bounty to work with, but the winter squash is coming on and it’s already starting to populate counters, so it might be time to switch over to fall-garden mode. I have two recipes planned already, one with spaghetti squash, the other with acorn squash. Stay tuned for those. As always the last part of summer seems to have flown by. Football is in full swing and the high temperature here in Fort Wayne won’t even reach 70 on Friday. Halloween decorations are on the shelves at most chain stores and it won’t be long before the leaves are a brilliant red and yellow. I hate to see summer go, but the beauty of fall awaits along with my soup pot - it's time for comfort food! 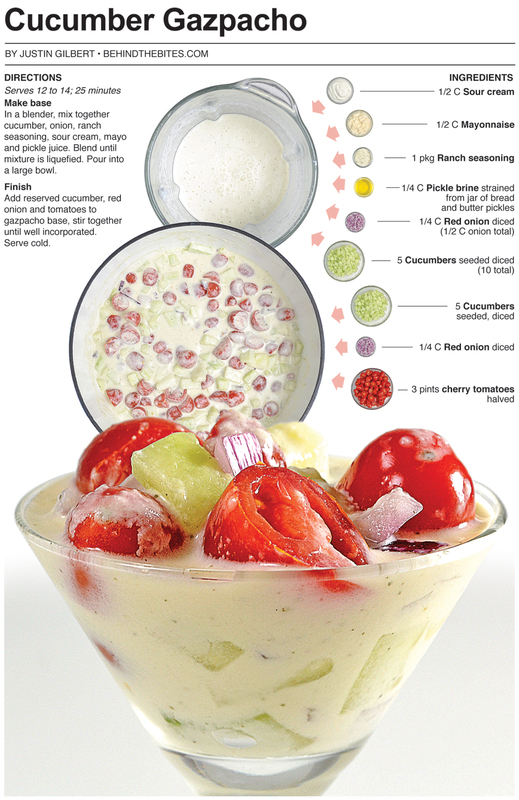 In a blender, mix together half of the cucumber, half of the onion, ranch seasoning, sour cream, mayo and pickle juice. Blend until mixture is liquefied. Pour into a large bowl. 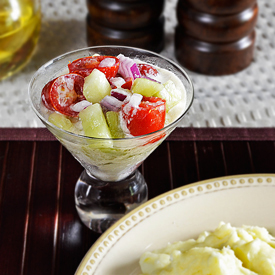 Add reserved cucumber, reserved red onion and tomatoes to gazpacho base, stir together until well incorporated. Serve cold. sounds like a delish cucumber recipe!